A common problem that many of us face on this side of 50 is insomnia. That is what I have been dealing with lately and I know many of you suffer from it too. I know this because I see you liking and commenting on Facebook posts at all hours of the night! Turn off the TV and get off your iPad, phone and computer. And do what, I might ask? Limit caffeine. Makes sense, but I do love a cup of coffee after dinner. Limit alcohol. What? No evening glass of wine? I don’t suffer from the can’t fall asleep kind of insomnia. I fall asleep about two minutes after I turn on a TV show or start reading a book. I have the wake up in the middle of the night and can’t fall back to sleep to save my life kind of insomnia. Getting a drink from the water jug by my bed because for some reason I am dehydrated. My lips are dry, so I feel around in the dark to find my Chapstick. I am wide awake by then and turn on the light to get out my Lavender essential oil and find the Melatonin. Take off my socks to put the Lavender oil on the bottoms of my feet. Lay back down on my left side. Curse the cats for waking me up. Roll onto my right side. Stick one leg out from under the covers. Put the leg back under the covers. Curse my husband for breathing in such a way that I can hear him. Curse my husband because he can sleep anytime, anywhere and nothing wakes him up. Try to read on my iPad. Lay on my back and try to FOCUS on going to sleep – yeah, like that works. By this time, it’s 4 a.m., so I usually just get up and have a cup of coffee. Rarely do I fall back to sleep. So, since I am exhausted, I’m going to let others from the Blogosphere do the work this week. Seriously, I have found some great posts that you’re going to like. I LOVE Ree Drummond, The Pioneer Woman. I DVR her cooking show. I bought 5 of her cookbooks to give as Christmas gifts. Her line of dishes and bakeware is lovely. She seems like someone who could just be your best friend. I have a cast iron skillet that I love to cook with, but wasn’t sure I was taking care of it properly so . Now I know. This article on Caring for Aging Parents called When You Don’t Think Your Sibling is Providing Adequate Care to Your Elderly Parents. On this side of 50, if your parents are still living, you will likely be involved in caregiving at some point. You may be in the middle of it already. This is a good article on ways that you and your siblings, given your proximity to your parents and your individual situations can pitch in and work together. 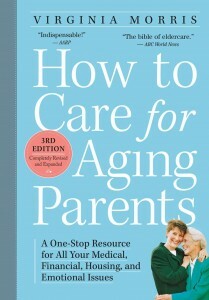 Excellent Resource for those taking care of aging parents. How to Care for Aging Parents, 3rd Edition: A One-Stop Resource for All Your Medical, Financial, Housing, and Emotional Issues. This book covers EVERYTHING and it is in an easy to use format. You don’t have to read the whole thing. It’s divided into sections that you can refer to for wherever you are on the journey. After almost two months into the blogging journey, I can’t thank you all enough for actually READING this blog and for your kind and generous feedback. I am overwhelmed. One primary way that bloggers can earn the income needed to support their site is to attract the interest of potential advertisers. The more newsletter subscribers you have the better. And it’s not just about helping support this blog. I have some exciting plans for subscriber only benefits coming up soon! that you like on any of your social media channels. If you like them, chances are your friends will too! There are “share” buttons at the top and bottom of each post. PS – If you subscribe here – watch your inbox. There is one more step. You have to click a link in that e-mail confirming that you want this blog in newsletter form delivered to your inbox. AND I never share your information with anyone and WON’T SPAM YOU. Thanks for reading, subscribing, sharing and commenting on mysideof50! Hi Cathy, I go through almost the same exact nighttime ritual as you! Once nature calls (around 4:00 a.m.) it’s impossible to fall back to sleep! I’m hoping it’s some horrible phase my body is going through. I love your blog btw, and I signed up for your newsletter, too! Thanks for sharing! So many of us are in this same boat, Monica! Hopefully it will pass at some point. Thanks for reading, commenting and subscribing. I am honored that you would do so! hahah I love that! “curse my husband for breathing in such a way that I can hear him” I get so sensitive to noise when I’m the only one up. I’m already a very sensory sensitive person so it just irks me. I know I’m being a crazy person, but I can’t help it lol. Neurotic or not, it’s who I am! thanks for sharing this! You’re not crazy! When I’m awake at night, I hear EVERYTHING! Thanks for reading my post and commenting. Will visit you as well! I can relate and enjoyed laughing about your situation as I have been there myself. Thanks for your post! I’ve had a lot of comments like this. We should start an insomniac Facebook page! LOL! Thanks for reading and commenting! I know!!! 🙂 Need to find another way to try and get back to sleep! Thanks for reading and commenting! Oh I have lots of nights like you just described. The most usual reason for me is simply that my mind is racing and working while I’m trying to sleep. I often times have to get up, write it all down, have a hot cup of chai tea and a couple hours I am tired enough to head back to bed. When my alarm goes off, I crawl out of bed and get ready for work. Thank you for writing about such a common problem. It is good that I am not the only one who suffers from it. You are certainly not the only one – lots of comments just like this on this post. I’m like you – my mind just starts going – not worries so much. Just stuff I need to do or am excited about. Like your ideas of a cup of tea, a brain dump then back to bed. Thanks for reading and commenting! If you’re ever awake at 3am, you can always email me. I’m sure to also be awake. I can also fall asleep at the drop of a hat and then wake up without being able to go back to sleep. I’ve started just getting up and enjoying my quiet time, but it is annoying. Popped over from #pitstop – nice to visit your blog again. Thanks for the book suggestion. I am going to look for it. I’ll even buy it as a real book and not a Kindle! Amy gave me the actual book for Christmas and I was surprised how good an actual book felt in my hands! From one insomniac to another – I need some sleep!!! I’ve tried everything and it’s doing my head in. Let me know if you find a magic cure. Suzi – LOL! I’ve had a number of comments from women in the same boat as us! No solutions, though! Will certainly write and post if I find “the cure”. Thanks for reading and commenting! Your list cracked me up! I don’t suffer from “wake up and can’t go back to sleep” insomnia, but rather from “can’t go to sleep” insomnia. Once I’m asleep, few freight trains could wake me! It’s the getting there that is the problem. And why is it that something as quiet as someone else breathing can be SO LOUD when you are struggling to sleep?? 😉 I really enjoyed this…and now I’m going to refill my coffee cup because I couldn’t sleep last night! Thanks, Wendy. At this point, all we can do is laugh and keep that coffee coming in the morning! Thanks for reading my blog and commenting! Thanks, Sarah! I appreciate you reading my post! 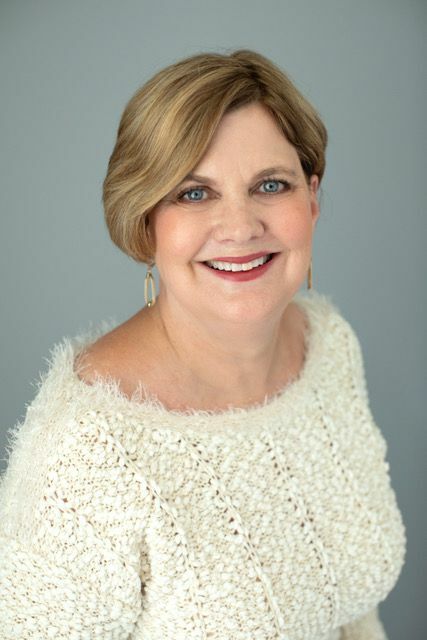 Jennifer – thanks for reading and commenting! I do everything on your 3 a.m list except curse the cat; and, I have everything on my nightstand including the Lavender, Melatonin, and Chapstick (grapefruit); and, I also HATE that my husband can sleep through any (strike over) every thing too! Do you know what I do now at 4 a.m? I prepare my snacks and coffee and protein…and at 5 a.m. I head to the box! Kim – that sounds like a good plan! I should do that too, but I’m a late afternoon workout person. All my friend go to 4:30 pm class. Glad you found something to do beside toss and turn! Thanks for reading and commenting! That book looks like something I should check out – I’m an only child, so all the caring gets left to me and I don’t think I can continue to stick my head in the sand and ignore the fact that they’re getting older forever… Thanks for linking up with us at #FridayFrivolity & hope to see you again this week! This is too relateable. 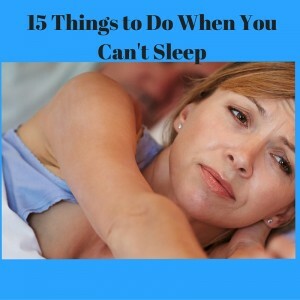 I also struggle with the “can’t fall back to sleep” insomnia and this sounds a lot like my own list would! Brooke – I’ve heard from many who are in the same boat! Thanks for reading and commenting! Hi Cathy, like you I have no trouble actually falling a sleep, but if I am disturbed I battle to go back to sleep. I have used lavender oil, but have never rubbed it on the bottom of my feet, so will be trying that in the future. When I really can’t sleep and my brain is wide awake, I have a mug of Horlicks and sit and read (usually until just before it’s time to get up.). Debbie – I know what you mean. Once I’m awake and the brain starts going, I am UP! Thanks for reading and commenting! I am starting to sleep better. Those hot flashes are miserable. I’ve finally gotten past those! Enjoyed your humorous take on an unpleasant situation. When I have a lot to do I wake up at 3 or 4 a.m. It is so frustrating. I started taking CALM, a magnesium supplement, that helped me sleep better. Debbie – I am the same way – 3 am like clockwork. Happened today because I have been really busy. I take magnesium and melatonin which is helpful. There are so many of us in the same boat! Thanks for reading and commenting! Scott – I am honored that you would read my blog. Yes, stress plays a part in the whole not sleeping thing. Even good stress – like things I’m excited about. And having your elderly parents with you probably keeps you half awake listening, just in case they need something. The sleep thing comes and goes. Welcome to middle age! LOL! Oh I feel this! Sometimes its the can’t go to sleep kind, other times its the can’t stay away kind. And then I don’t know if I should stay up and drink wine or start the coffeemaker! I’ve resorted to just getting up and having coffee and starting my day. Beats tossing and turning. One of the “curses” of midlife! This is so timely! I *just* yesterday bought my husband a sound machine. Those ones with ocean waves, white noise and more. The guy CANNOT sleep. (Chronic pain) Thankfully I can usually sleep pretty easily, pretty well. Probably because I’ve had to learn to while hubby tosses, turns, gets up and down, and sleeps off in the other room… or stumbles down the stairs to turn on the television. I’ll have to try counting backwards – haven’t tried that one yet! I loved all your not-getting-back-to-sleep-but-worth-a-try techniques! I’ve resorted to taking something each night – it helps me sleep more deeply and not suffocate my husband with his pillow! I’ve thought about that too – both the taking something and the suffocating! LOL! I think we have a lot in common. Enjoyed your post a lot. I too have written about my insomnia. It is horrible! Its nice to know that I am not the only one! Thanks for the info.